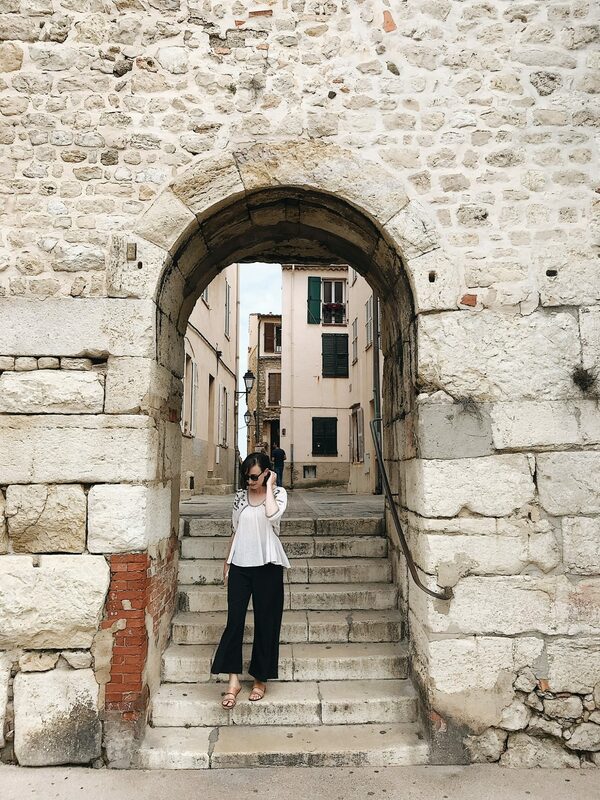 Most of July is already behind us, which is insane, but that also means that this time last month I was in Europe! 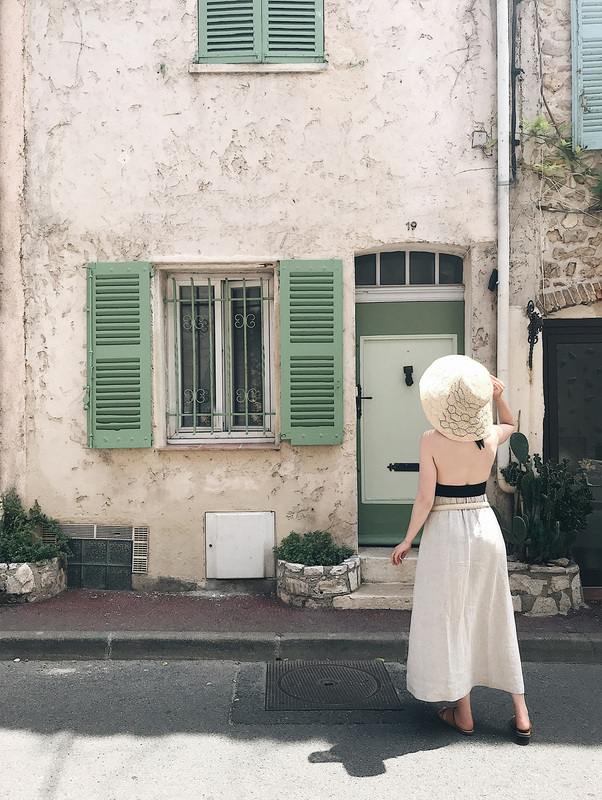 It feels like yesterday that I was cycling along the canals in Amsterdam and wandering the cobblestone streets of Antibes. Both cities now hold a firm place in my heart thanks to time spent with wonderful friends, enjoying incredible food, drinking wine and, well, just generally soaking in all the beautiful sights. I’ve been so fortunate to have some opportunities to travel in recent years, which has in turn, given me lots of chances to learn what works and what doesn’t when it comes to packing. Who knew winging it last-minute and stuffing half your closet in a giant suitcase would not make for the best travel experience? ‘Not I!’, said Style Bee, circa 2014. But with travel comes wisdom, or so they say, and while I cannot attest to that in most topics, I can say my packing know-how has definitely improved. How I pack for trips these days. It’s essentially a 2-step process with a few sub tasks in between. 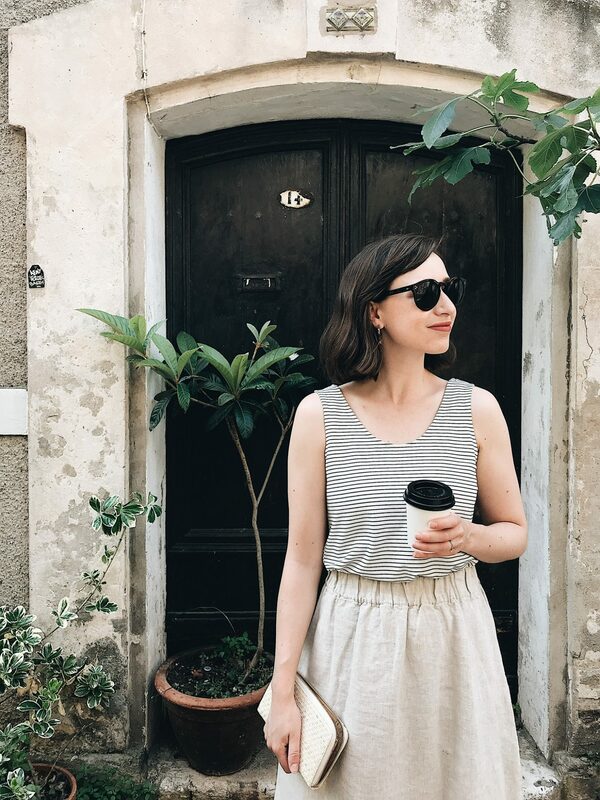 What I packed for 11 Days in Europe this summer. It all fit within my carry-on suitcase and tote! 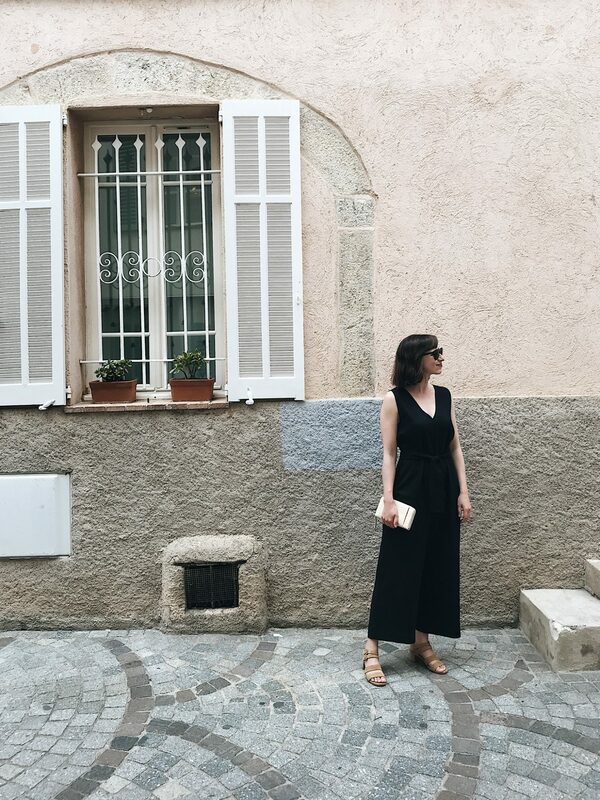 15 Looks I wore throughout our time in Amsterdam and Antibes. There were actually 20 looks but I just didn’t capture them all. 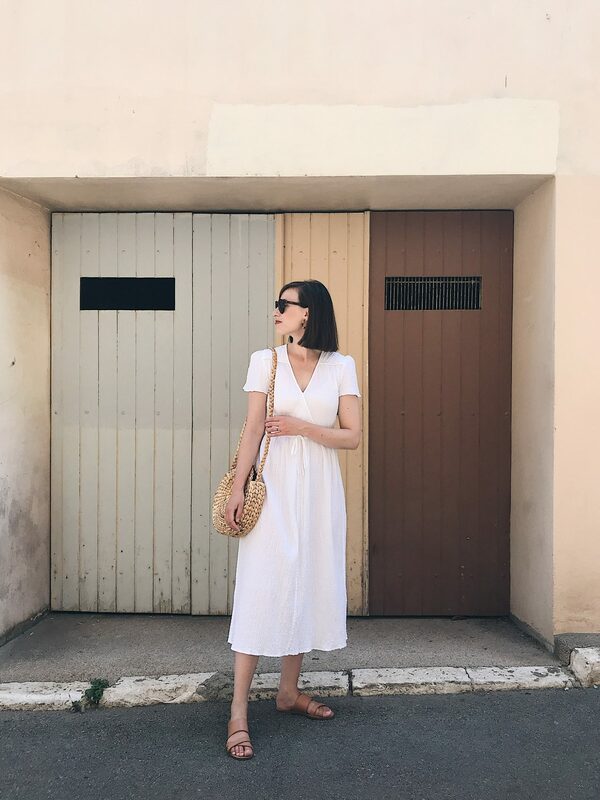 My hope is that this packing post will be a great reference for anyone planning a summer trip (to anywhere really) or even those considering a summer capsule closet, because it would work great for that too. Now let’s dig in! What are your days going to consist of? Will you be doing a lot of walking, beaching, biking, boating, touring, driving or relaxing? Are you going to be going out for meals, visiting galleries or attending special events? What is the general style of the place you’re going? Do the locals wear jeans and sneakers or do they dress up more? 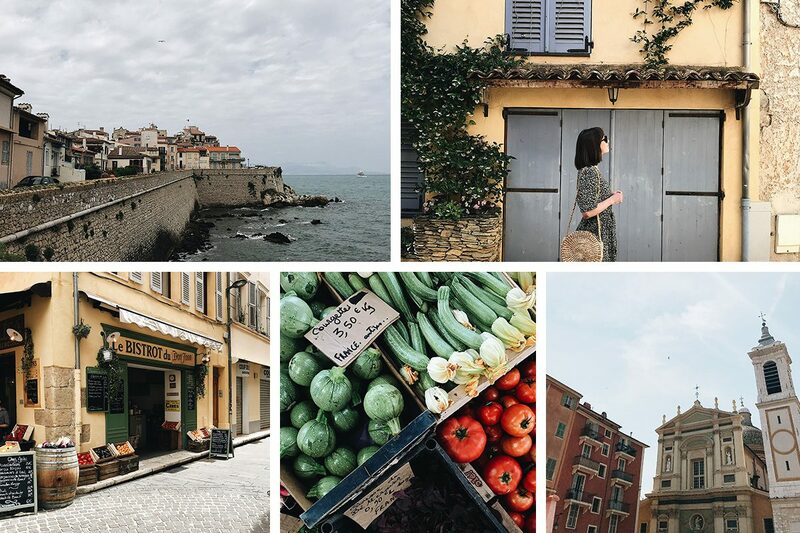 For our trip: We knew we’d be doing a lot of walking, biking and boating in Amsterdam and more casual touring, beaching and driving in Antibes. 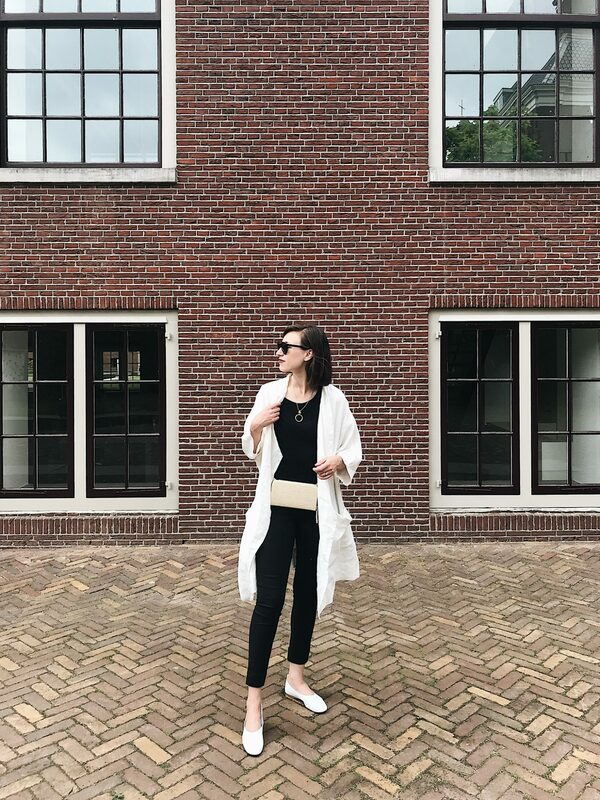 We also knew we’d be going out for dinner a lot so I knew to pack a mix of comfortable pieces for the day time and dressier pieces for the evening. I also packed one special evening outfit for our trip to Monaco. This is an obvious one but definitely worth a mention. Be sure to check the weather right up until the day before (or day of if you’re flying later). It could mean the difference between an extra layer to keep you warm or swapping out pants for a pair of shorts to keep you cool. For our trip: We were looking at a lot of sun, cloud and mid to high 20’s during the days and around 20 at night. So basically the perfect hot but not crazy hot summer forecast. I could have brought shorts with me but I wasn’t really in the mood and ended up wearing dresses on the hottest days anyway. 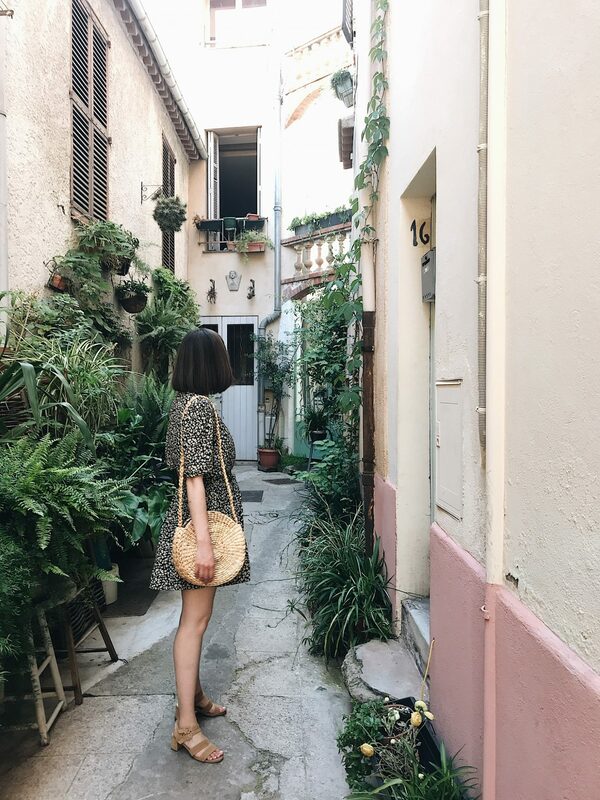 Revisit some of your Pinterest boards for travel, style and outfit inspiration to help you get excited about the potential items, colours and textures you might like to have with you. Of course, you’ll need to be realistic about what’s going to be useful too! For our trip: This was the first time I’ve really explored my own Pinterest boards for packing inspiration. 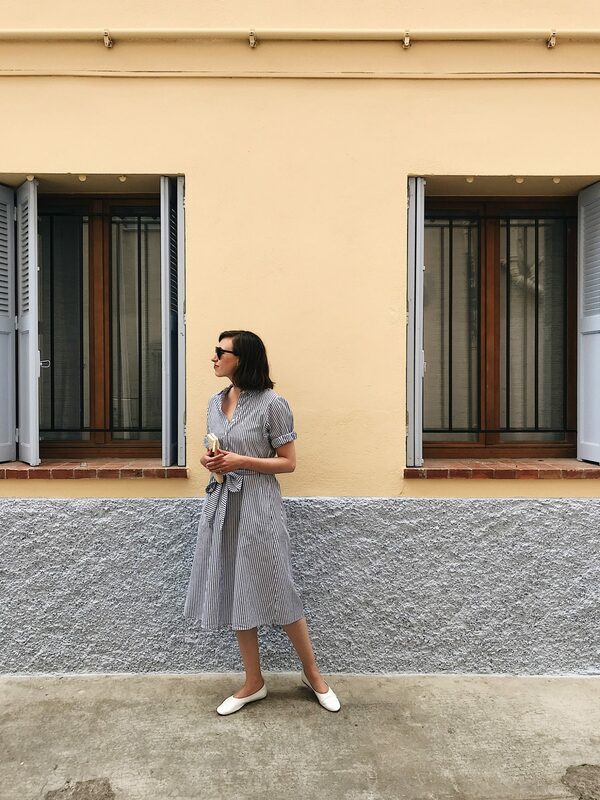 It helped me so much to get in the mood (despite being exhausted) and it was a useful for building a packing list of both practical pieces and items I was excited to wear. Try to jot down ideas on an ongoing list during the week or so before a long trip to make sure you don’t forget anything important. On the same list note a few outfits you can create within each piece so you have ideas about what to put together. 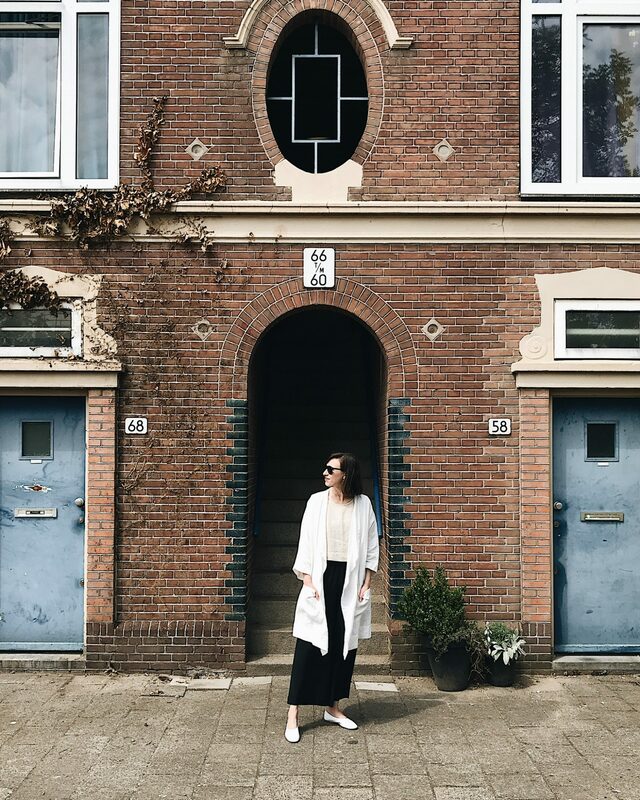 Some bloggers also recommend taking photos of outfits before they travel but I never have enough time for that! I like to have everything washed, ironed, etc. at least 24 hrs before packing it. This is partly for my sanity but also to limit wrinkles since warm clothing creases much easier. I don’t fold my clothes anymore, I roll them! 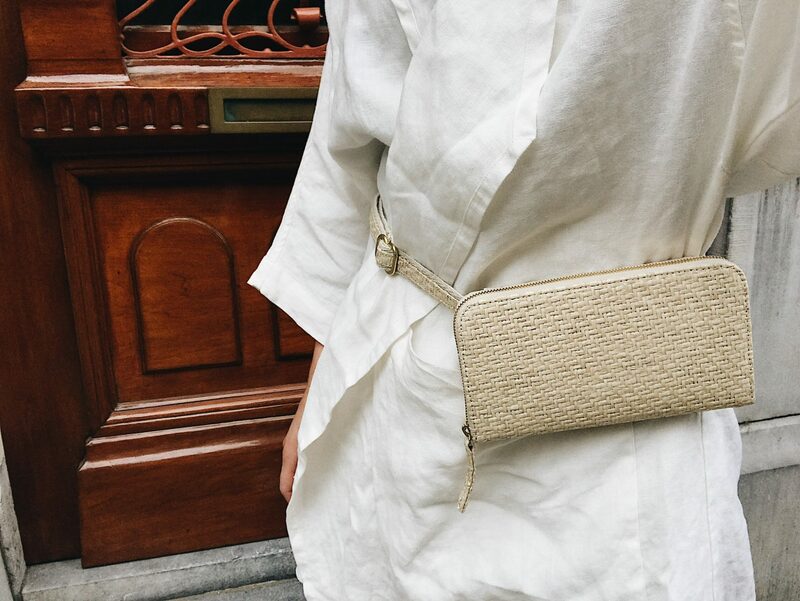 It’s honestly been an absolute game changer when it comes to my love for travelling with silk and linen. STEP 1: Start by laying one piece on the (clean) floor or your bed and layer similar style items (ie: dresses, pants, tops) on top of each other (usually up to 5 or so). Start with the linens and silks and easily creased items first so they end up on the largest part of the roll. STEP 2: Then starting at the waistband or shoulders, gently roll the stack of items into itself until you have a little log of fabric. STEP 3: Put this directly into your suit case and then add the next one. Rolled clothing can be packed quite tightly and I swear this is such a space saver compared to folding. HOT TIP: Take your clothes out of our suitcase ASAP when you arrive so any creases can fall out. Once I have my rolled items in my suitcase I will add shoes in their dust bags and packing cubes of underwear, bras, activewear and jewelry. Pack all of your toiletries (skincare/makeup) in your carry-on (see my carry-on packing guide here) along with a change of shoes and your sunglasses etc. so they’re handy. Have your airplane outfit ready to go and try to wear your bulkiest items on the plane. For this trip I brought one carry-on tote for the beach and one convertible belt bag for all other occasions and exploring. I limited myself to 4 pairs of shoes for this visit (which is a new record for me!). I also kept my jewelry very minimal with just one necklace, a few statement earring options and some rings. No fussy chunky pieces or a bunch of chains to untangle. 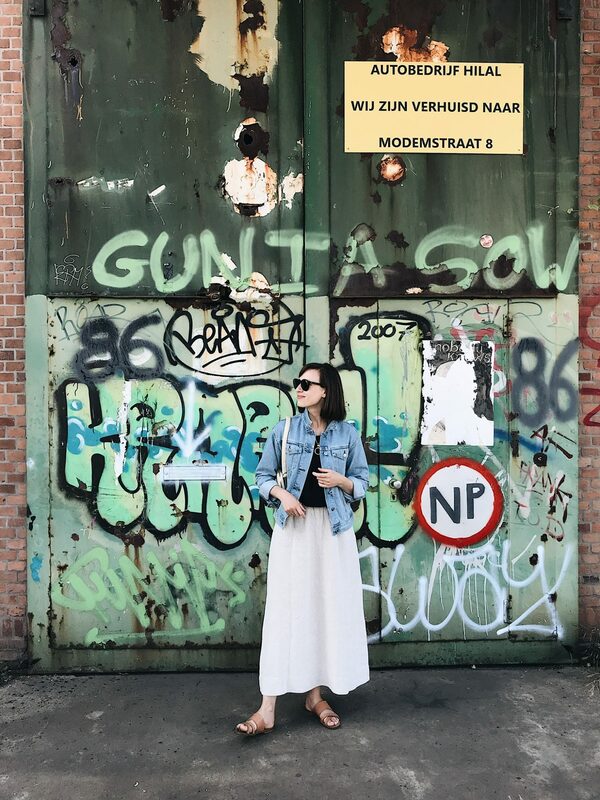 My European Summer Packing Tips + Full List! Do you have any packing tricks up your sleeve? I’d love to hear them! What’s one thing you always do to prepare for a trip? Are you Europe or elsewhere bound this summer? Do tell! Love this! 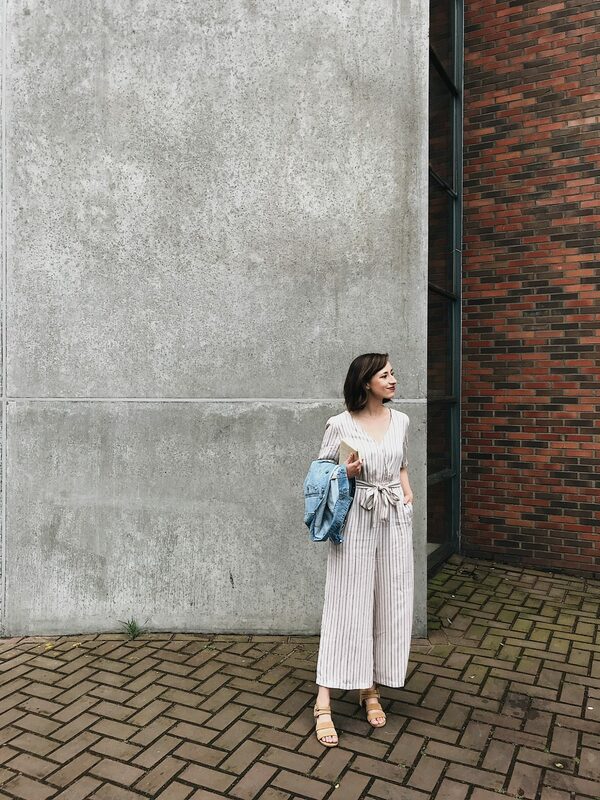 The dress you linked to for the striped shirt dress is completely different than what you’re wearing. 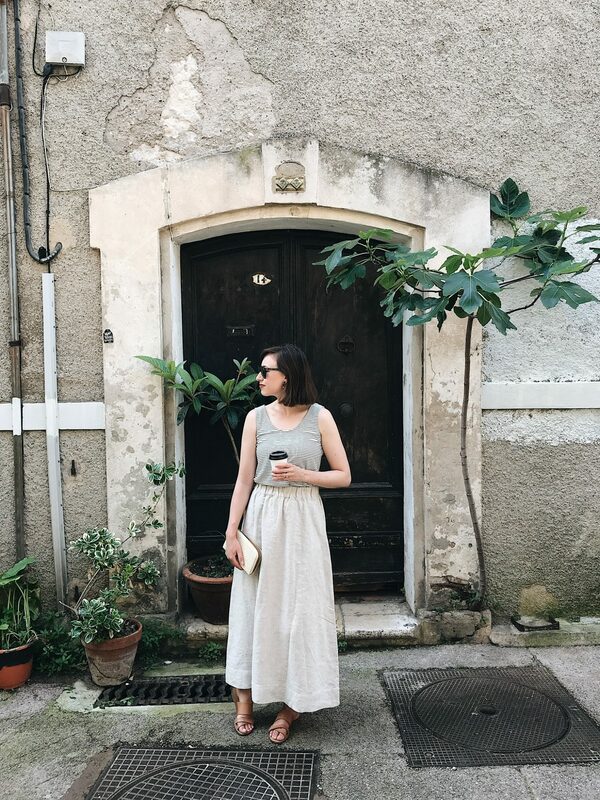 I realize the dress you have might be old, but can you tell me the brand so I can keep an eye out for it? I love it but have been having trouble finding something similar. styling products? Loved all the great info as usual! another fantastic post, thanks Lee! can you remind me which packing cubes you use? Thanks for checking it out Mary! I use these packing cubes from Away. They’ve been great but I wish they were just a little sturdier. If you only plan to carry-on I’d just get the set of 4 but I have the 6 and basically lived out of them while we were in Vancouver without a dresser or wardrobe. They really help me stay organized while traveling! Great round up! I have to admit though the number of things you brought is throwing me for a loop, haha. After one of your trips last year, I was inspired to become a minimalist packer. I’ve been trying to bring approximately the same number of pieces as days of the trip plus or minus one (excluding coats, but including shoes – like a 10×10). It’s been really great! So my eyes popped a bit when I saw how many items you had, haha. But I know the number isn’t the point. Glad you found everything to be useful. It is so much easier to bring a few extra items in summer. 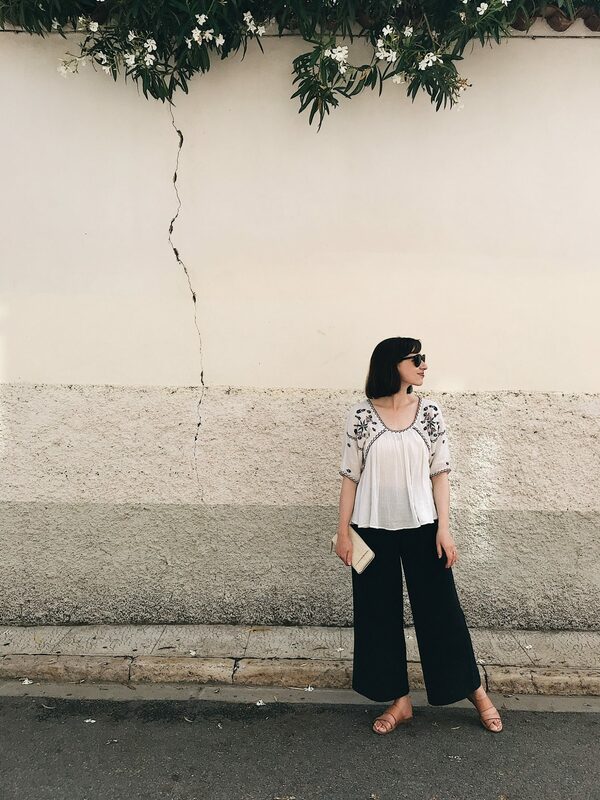 Great packing tips and outfits for travel and summer in general. I can manage to keep my clothes, shoes and toiletries to cabin size but I there are often so many miscellaneous extra items that mean I end up checking luggage. Camera, ipad or kiddle, noise cancelling headset, various charging cables and adapters, water bottle and snacks for the plane, vitamins/medication, glasses, sunglasses etc all seem to add up to a lot of frustrating volume and weight! I would love to hear how others keep these items minimised. – My Swell bottle isn’t too big but I usually forget it and just buy a bottle at the gate (not the best I know). – I put my vitamins in a little ziploc bag inside my toiletries bag so they don’t take up much room. – Instead of my honking sunglasses case I just use a little drawstring bag and wrap them in a lens cloths for extra padding. Yes! I’ve been waiting for this post, thank you so much! 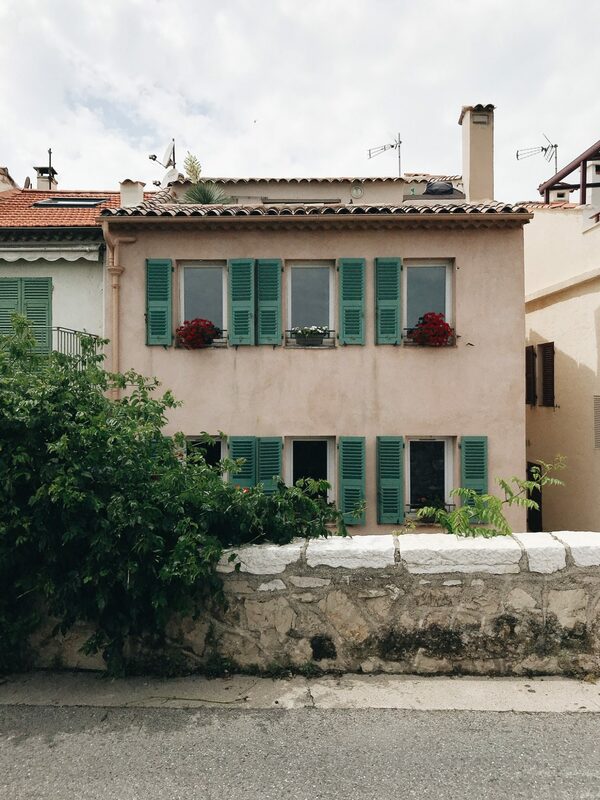 I am going on a trip to the Côte d’Azur (including Antibes! ), Corsica, the Italian Riviera, and Rome in about a month for 12 days, and was so hoping you’d say you only took a carry-on. I think I will try to emulate the number of items you have here, as it seems like you packed pretty light but not TOO minimal! I am wondering though, was it easy to pack any souvenirs along with your stuff on the way back? I am concerned about having enough room for any treasures! Also, I would love to see a post on what your must-haves are for long flights! Thanks so much Jennifer! Your trip sounds like a DREAM! You will have such a blast I’m sure. Oh the food! Having flashbacks of deliciousness right now haha. You’re right, I think I could have packed less and worn a few items more but it’s HOT there and a busy day of walking and getting sweaty does not inspire me to re-wear things often. Plus in the French and Italian Riviera’s you want to have some style fun right? I brought bag a small-ish straw in my carry-on tote, some little pottery pieces, a scarf and a few post cards. If you plan to get more souvenirs I would leave out a pair of shoes or a bulky item. If you haven’t read my Skincare and Beauty Carry-On post that’s all about my red-eye and long haul must-haves. I don’t eat on planes though which throws people off but I just can’t do it without digestive issues. These are great tips. I am definitely going to try the “rolling” technique on my next trip. I have seen the Away luggage for a while now. Is it a lightweight bag, prior to packing it? I currently have a soft case, but it’s pretty old and was considering a hard case. I need something that is light due to a bad lower back. I saw a few Tumi lightweight bags, but they are cost prohibitive. Would love your opinion on the bag. Thanks! Love how many super chic looks you made out of this packing list! Can I ask what your bag weighed? I’m always so confident that I fit a ton of stuff into a carry-on, but then not sure if it will pass airline weight limits. Thanks Lo! Good question, that’s why I always keep my toiletries in a separate tote since they can really add to the weight (and also for going through security). We flew Air Canada and they don’t seem to have a weight limit for carry-on but the size limitations are restrictive. They just say you need to be able to lift it into the overhead bin without assistance. I believe, when I’ve flown other airlines with a similarly packed suitcase it has been about 22 – 25lbs. I’ve also found that if you’re checked in and have your boarding pass you aren’t as likely to have your bag weighed but that could just be luck! Lovely photos, as always! 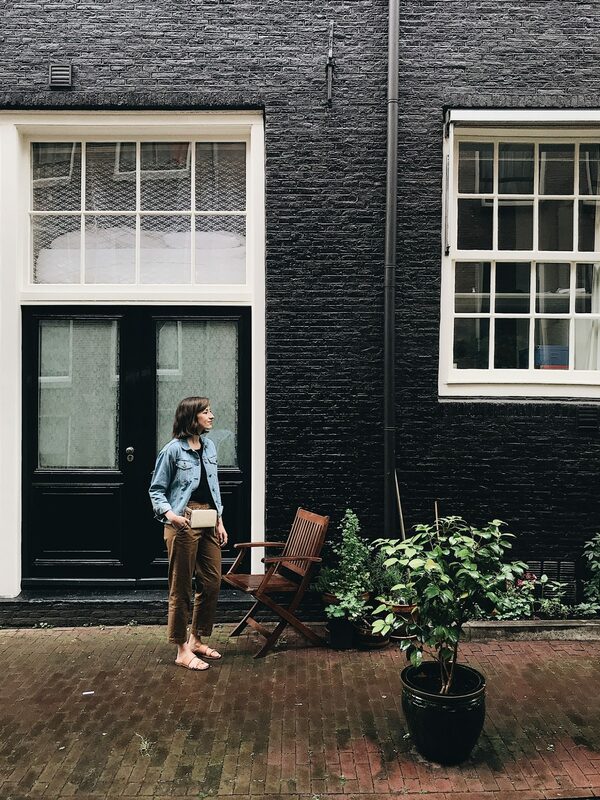 Will you be sharing a rundown of your itinerary (we’re headed to Amsterdam in September and I love reading recommendations from recent visits)? I’m also curious how the chinos held up through your travels – did they wrinkle or bag out with wear? And also (this is getting personal, sorry!) did you use tape or a sticky bra underneath the black checkered shirt? Just thinking about wearing a top unbuttoned so low makes me anxious! Thanks Krystal! I don’t think I’ll be sharing this itinerary but you can see almost all the spots we visited on my Instagram story highlights. We did a lot of walking and boating and some of the same places we went to on our last trip. The chinos were awesome! They got some creases but that didn’t bother me and they were so soft and comfy to bike and explore in. They relaxed a tough with wear but they were already quite loose to begin with. Thinking I might need to share a review sometime before they restock! It looks like you had a great trip and got to see some lovely sights! 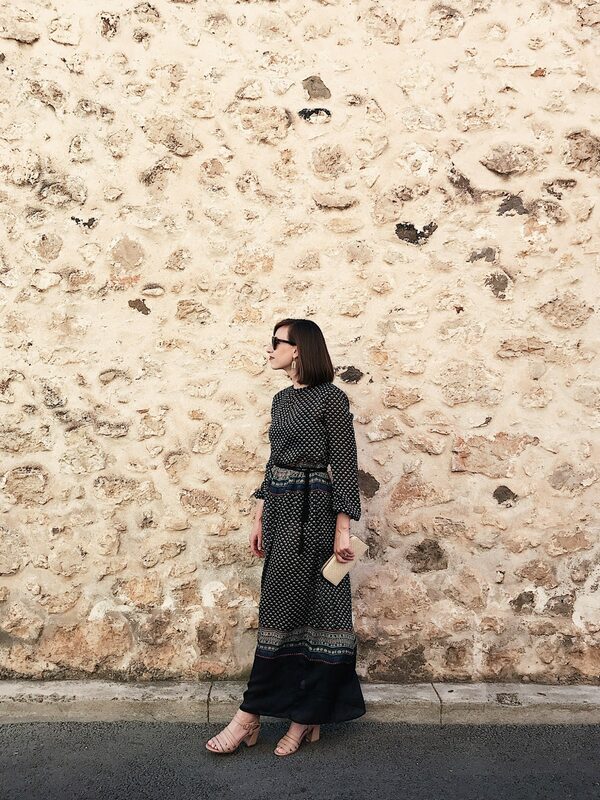 I also just love the way you rolled up the sleeves on the striped shirt dress – very Roman Holiday. I’d try to do the same on mine but the sleeves are long! Perhaps I’ll come across the perfect one one day . . .
Great packing tips! I am constantly trying to pare down on what I pack, and this helps so much. 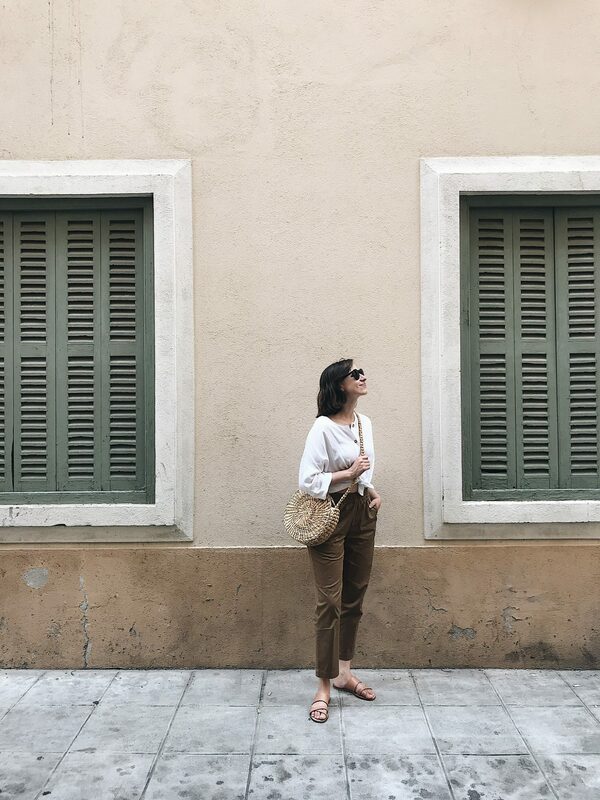 How high is the rise on the Everlane chinos? They must be on the high side, if you’re wearing them with a Petra crop, but they look low-mid rise on the model on their website. Also, did you pack a travel steamer? Thanks Kate! So glad the tips are helpful! I find the rise on the chinos can be pretty flexible. I wear them just below my natural waist (belly button covered). They could easily be worn lower though too. I have a size 4 which is generous but I like the relaxed fit and the elastic is quite stretchy. They are soooo comfy!